One of the things I was determined to do in Europe was visit places I had learned about as a child and teen. I’ve always found the first and second World Wars compelling – interesting in a cautionary and sociologically worrying way. In Amsterdam, I visited the Anne Frank Museum, where the Franks hid for more than two years during the Nazi occupation of the Netherlands, in WWII. After touring the house, I bought another copy of Anne’s diary. I can’t think of a more pertinent time to read it. 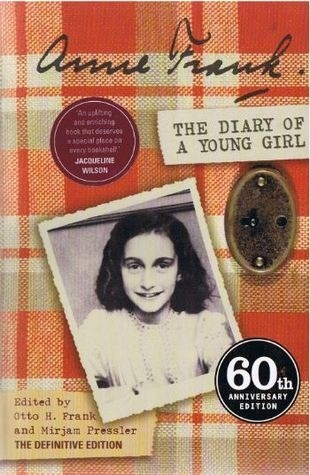 I was about Anne Frank’s age when I first read her diary. At that age, I don’t think I could fully appreciate its importance. Or perhaps I simply understand a lot more of the context now, 10 years later. Either way, reading the Diary was a powerful experience. During my travels, I also visited Dachau, a former concentration camp outside Munich, Germany. The amount of history, the depth of sorrow, and the continuing warning provided by stories like Anne’s, and places like Dachau, make them crucial. It’s easy to forget, when reading this diary, about all the external horrors Anne and the Franks faced. While it’s written by a young Jewish girl as she’s forced into hiding with her loved ones to avoid capture, deportation to a concentration camp and death, much of the time Anne writes about more normal experiences. I honestly don’t know if Anne was wise for her age, or if this level of contemplation is normal for thirteen and fourteen year olds (I’ve forgotten what I thought and felt at that age, worryingly). What is clear, however, is that Anne’s extraordinary circumstances led to a similarly extraordinary diary. The juxtaposition of constant, thrumming, background terror and day to day boredom and confinement resulted in some vivid philosophical writing by Anne about herself, her family, and the outside world as it was torn asunder by war. This isn’t the sort of book you can really assign a rating to – it’s not about how readable it is, how the characters are drawn and how much the reader connects with the story. If the book is considered in those terms then it is worth five stars. Anne provides deep character insights, particularly into herself, and the reader cannot help but become emotionally invested in this doomed young girl and her family. But The Diary of a Young Girl is about so much more than Anne. It’s about rememberance, regret, grieving, and caution. Regardless of all the historical perspectives we have after the devastation of WWII, what must remain is the realisation of how easy it was to get to the point of such destruction, such abominations. What we have to take away from stories like Anne’s, from places like Dachau, and from history lessons that aren’t just history, is that this can never be allowed to happen again. Above all else, Anne Frank is a symbol of humanity’s commitment to that.